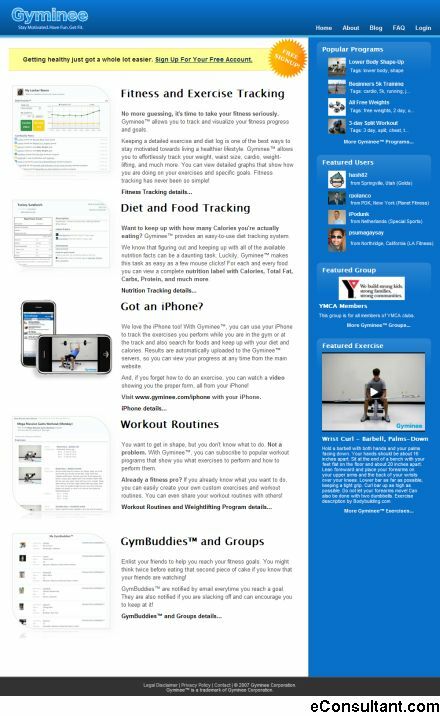 Description : Gyminee is a web-based, personal health and fitness tracking application. Like many other web 2.0 sites, Gyminee provides a social element, but also assists users find a workout program, track exercise progress, and reach fitness goals. Gyminee also has an iPhone interface for tracking workout progress while at the gym and provides video tutorials of popular exercises.